B.Sc. 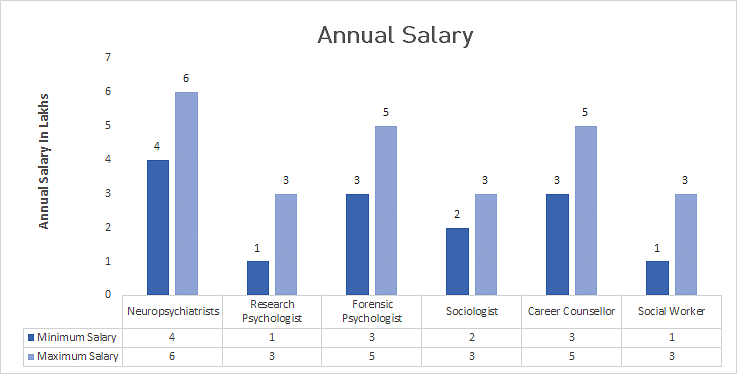 in Psychology is a 3-year full-time undergraduate course, the minimum eligibility for which is a Higher Secondary Certificate (10+2) qualification with a minimum aggregate score of 50%. The program is spread over 6 semesters covered over a period of 3 years. Admission to the course is based on the cumulative aggregate of the candidate’s score in the 10+2 examination as well as performance in a relevant entrance exam. It is advisable to take Psychology as one of the main subjects at the 10+2 level in school to acquire a basic understanding of the subject. However, having studied Psychology at the school level is not a compulsion. Successful graduates of the course are hired in capacities such as Neuropsychologist, Forensic Psychologist, Health Educator, Industrial Psychologist, Public Statistician, Recreation Worker, School Psychologist, Research Psychologist, Social Worker, Developmental Psychologist, Psychiatric Technician, Caregiver, Child Care Worker, Career Employment Specialist, Rehabilitation Specialist, Day-care Centre Supervisor, Counselling Psychologist, and such. The course’ curriculum requires enrolled students to actively investigate the dynamics and interrelations between human beings and the environment including human and machine interface through directed research based in different laboratory, library, and field settings. Students are also offered the opportunity to gain first-hand experience in practice of psychology as applied to diverse professional fields through direct internships in the field. Students enrolled to the course are also needed to write a dissertation in their final year under the supervision of a mentor. The average tuition fee charged for the course in India ranges between INR 2,000 and 3 Lacs for a span of 3 years, and the average annual salary offered to such professionals ranges between INR 1.5 and 5 Lacs, increasing with experience and expertise. Admission Process Based on cumulative score at the HSC level/ on performance in a relevant entrance exam. Top Recruiting Companies Taj, Escorts, Fortis, Dell, Genpact, etc. Job Positions Clinical Psychologist, Sports Psychologist, Researcher, Teacher, Lecturer, and such. B.Sc. in Psychology: What is it about? The course has been designed to help eligible candidates delve deep into the study of the mind and its various functions. 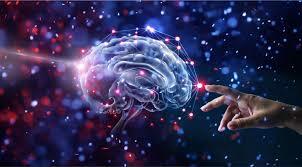 It involves the study of working of mind processes, conflict resolutions, motives, reactions, feelings, crisis management, group thinking, motivation, and nature of the mind. Psychological understanding and application plays an important role in the functioning of many fields today. plan and engage in independent and sustained critical investigations and evaluations of a chosen research topic. build an advanced understanding of social sciences and natural sciences and their role in the functioning of the human mind and body. use resources to develop hypotheses, analyse data, and interpret results. decode the influence of personal factors on academic and professional growth. understand how psychology interacts with other field to produce fruitful life-results. develop competent interpersonal and communication skills. The course integrates theoretical approach with practical applications and includes a compulsory summer internship to enrich students with practical knowledge and familiarize them with the discipline’s applications in the business world. Candidates interested in pursuing the course would ideally have the ability and desire to work with different age groups and sections of the society, such as children, married couples, and the elderly. Clinical psychology is a vital, part of treatment in hospitals and clinics. A Clinical Psychologist treats patients suffering from grief or chronic psychological issues. They work with specific groups such as children, married couples, elderly, or pursue a general practice. Counselling is fast gaining prominence as a para-subject among educational institutions. Students frequently need counselling to reveal their interests and skills, and find direction. Sports Psychology is another up-and-coming field, with an increasing number of athletes requiring the help of specialists to improve their performance and counter depression and anxiety. Such graduates may later pursue advanced courses such as Master’s in Psychology or even Doctor of Philosophy (Ph.D.).